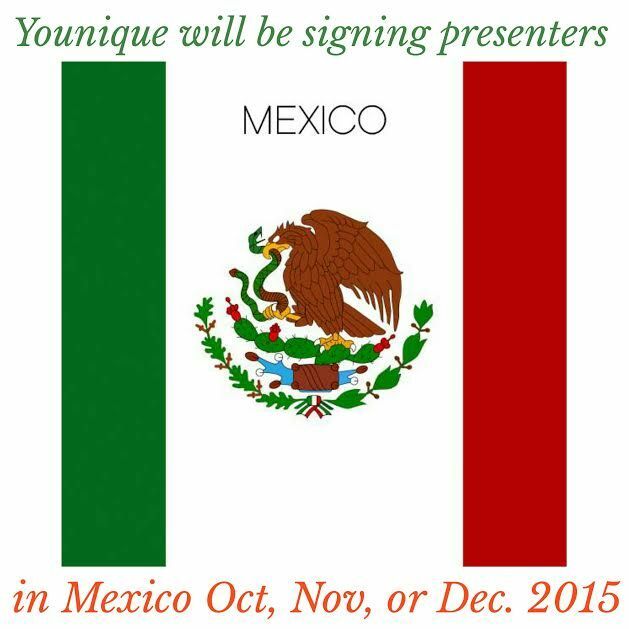 July 1, Younique made some UH-MAZING announcements!!! It was so exciting we actually broke the internet for some time… ok, well, maybe not the whole internet but it took about an hour for the video conference to take place because there were SO MANY excited ladies waiting to hear the Epic announcement, we broke something!!! HAHA! The new enhanced 3D+ will be available to the public July 15th BUT it you sign as a Presenter right now! Today! Ok, and maybe tomorrow too… well, probably for a few weeks you get not ONE BUT TWO 3D+ Mascaras in your presenters kit!!!! I swear I was jumping up and down screaming at my computer as Melanie was announcing it on our webinar!!!! Serious!!! Oh, and I will add that for a limited time with the TWO 3D+ Mascaras, they are offering FREE shipping on this purchase!!! Your own little mascara empire for $99!!! This may sound crazy, but MY mascara empire is taking Scott & I on an all expense paid cruise to Jamaica in October!!!! There are so many things that I want to say about this company and my journey, (I promise you will hear more in blogs to come) but this company has been one of the most amazing leaps of faith I have ever ever taken. It has brought a fire and joy to my heart that I never knew was there… I brag that Younique’s missions statement is to UPLIFT, EMPOWER & VALIDATE women and this journey is far more than amazing mascara, all natural skin care products or incredible cosmetics, it’s also about sisterhood and success!!! Last Thursday, May 7th, another scholarship at Flowing Wells High School in Tucson, AZ was given to a graduating senior in memory of my sister, Vicki Lynne Hoskinson. It’s the second one we would give in her honor. Last years recipient, Anisa Jimenez, is such an amazing young woman, and I am so blessed that our families have grown very close over the last year. I have so much to share about her and will do so in a blog to come soon! This year’s recipient was a young man. He is an aspiring engineer student and will attend the University of Arizona in the fall. His academic accomplishments, awards, leadership roles and community service spoke greatly about his drive and spirit. When my brother, Brian, saw that he played baseball it struck a sentimental place in his heart. My sister, Carie, loved his aspiration to become an engineer, it’s what my nephew would like to do do as well. So to say this candidate was chosen on his academic accomplishments alone would be untrue. I called him the other day to ask permission to share about him on my blog. I was curious to talk to him, and honestly less than a minute into the conversation, it took a lot to hold back the tears. He started out by telling me that he and his sister went to Homer Davis Elementary, and that his mom taught 3rd grade there for a lot of years before going back into Special Education at another school within the Flowing Wells District. He said she had actually come to Homer Davis not long after Vicki had died. And, although, we have not made any requirements that a student attend FWSD from elementary school through high school to be awarded the scholarship in memory of Vicki, it blew me away that again this year we would unknowingly pick a recipient that had. He said that he had spoken to his mom about Vicki and shared his appreciation that we would believe in him to award him this scholarship in her memory. My mom flew down to present the award to this years winner, Nathan Syers. We are honored to help such an amazing young individual again this year. We look forward to following you as you make your dreams come true!! Here is a video of the presentation of the 2nd Annual Vicki Lynne Memorial Scholarship! Thank you to all you who have helped our family this possible! I wish I could explain how deeply touched my heart is to honor Vicki in such a positive way and to help Nathan & Anisa make their dreams become their reality! An Opening Brief was filed by the defense in the United States Court of Appeals for the Ninth Circuit yesterday. The original file date was June 12, 2014 delayed to November 21, 2014, delayed again to March 12, 2015 and finally filed on May 11, 2015. It took almost 11 months to produce 99 pages arguing technicalities and reasons why Frank Atwood should not be put to death. Imagine the money the tax payers have spent in 333 days just for this brief? I am so relieved to have some sort of forward motion again… for my parents, for my siblings, for my children, for my family, our friends… for our community. But, I have to be completely honest here… I am having a hard time wrapping my brain around the fact that people actually get paid to defend a monster like Atwood. I know this may sound silly, but I can not imagine the time and man power it took to put together 99 pages of this crap! On September 17,1984, Atwood hit my sissy with his car while she was riding her bike home from her best friends house. He drove with her in his car to the desert not far from our home and I can not fathom the fear she experienced on that ride. He sexually assaulted her. 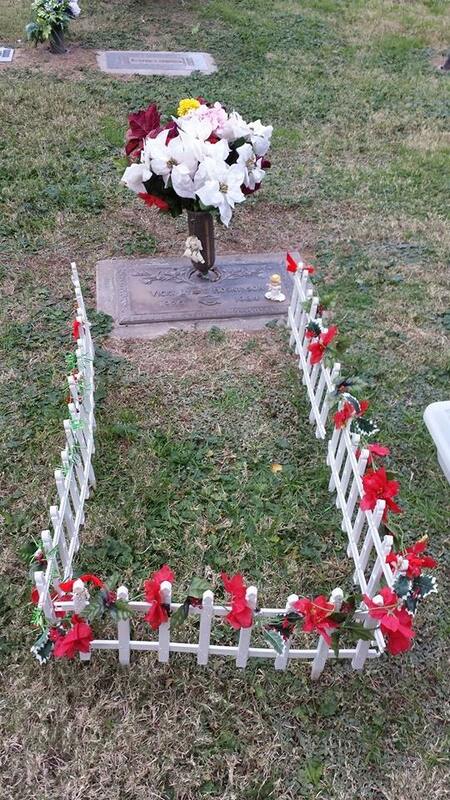 And, he didn’t kill her the first time, I know Vicki’s last words still haunt and puzzle him today… He would eventually bury her in a shallow grave in the desert… 207 days later only parts of her precious little body were found… placed in a small box and given to my parents to lay to rest. And more than 30 years later we are fighting him on technicalities. 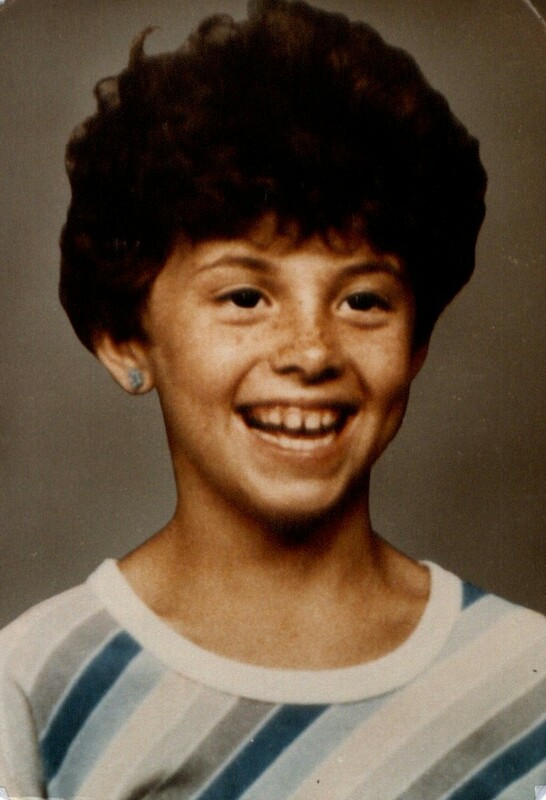 Nothing will change the fact that he brutally murdered this little girl in 1984. And I am confident that this brief will be the start of the last chapter in this book that has had no ending or justice for this beautiful little girl. It’s hard to believe that time has gone by so quickly… 30 years is a long time, but this day is still as vivid in my mind as yesterday. My heart still aches the same it did that day… that pain will never go away. I wrote the following a couple years ago and felt the need to re-share it again today. Thank you for those who continue to follow our case and support us as we fight for justice for my sissy. Today marks a significant anniversary in my life. It is a day that is forever etched in my mind, a day to reflect and a day to be thankful for. 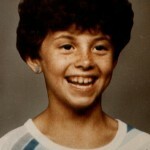 On September 17, 1984, my 8 year old sister, Vicki Lynne Hoskinson, disappeared from our neighborhood. She had gone on her bike to mail a birthday card to our Aunt Lori for our mom. When she didn’t come home, I road my bike to find her. 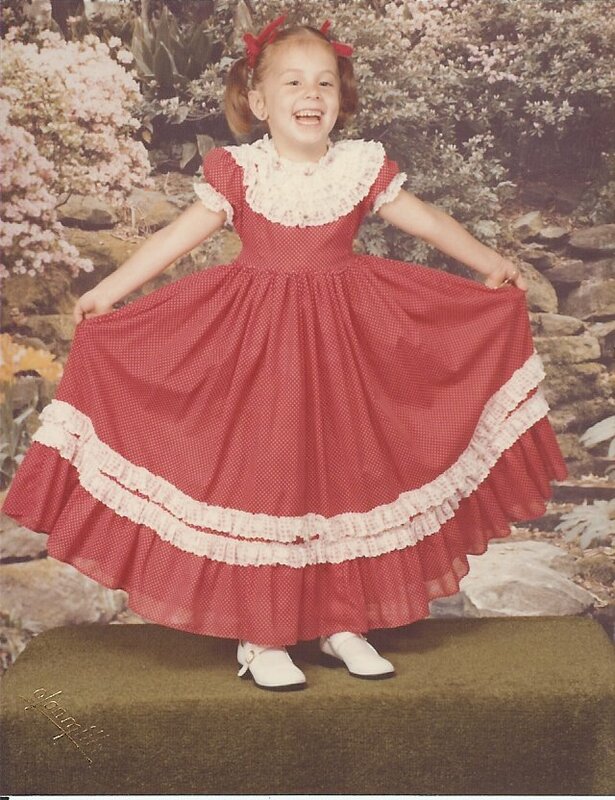 At that time, being 11, there was no doubt in my mind that she had stopped off at a neighbors or was playing with kids from the neighborhood and had lost track of time. We lived in a community and time when you left the house, played outside & people watched out for each other. Kids didn’t just disappear, and if they did it happened on T.V. and not on your street, let alone to your sister. Vicki had been gone 6 months, 26 days…. or 207 days total. April 12, 1985 was a friday, and I was sitting in Mr. Abrams 6th grade core class. When the door opened and one of the ladies from the office walked in, I knew she was there for me. Mr. Abrams paused, looking down and then up at me. He squeaked out the the words that I needed to gather my things and go to the office. I sat in the yellow polyester cushioned chair against the windows that looked down the sidewalk and out into the parking lot. I was 11, and trying to understand the world that I had been thrusted into so many months before. There, in the office of the junior high school, everyone was quiet, and working just as hard at keeping it together as they were trying to act like they were working. I can not tell you how long I sat in that chair in the window, but I knew when I looked over my left shoulder and saw my parents walking down the sidewalk it’s as if the world stopped. They had found my sister…. Today, 28 years, 6 months and 26 days later, I can close my eyes and remember that day. The warmth of the Arizona sun through the window in the office, the look first on Mr. Abrams face, then on that of my parents, and the feeling of despair by those who surrounded me. There are no words to express how incredibly grateful I am for the man who went looking for his dog that day and stumbled upon her remains, for at least we could have closure and lay her to rest. If I had a penny for every time I thanked him, and those who gave so unconditionally those months we searched for her I would have enough money to buy the world. I am also doing a fundraiser, Be-YOU-tiful Lashes for Vicki!!!! 100% of my proceeds will be given in her memory to a graduating senior at Flowing Wells High School in May!! If you haven’t tried our famous 3D Fiber Lash Mascara or LOVE all natural skin care & beauty products you will LOVE Younique!!! Click the link to shop!!! April is all about the Eyes!!! Who would have ever thought I would be “blogging” about make-up & skin care? I can tell you I am actually surprised myself!!! When I joined Younique in November 2014, I hadn’t even tried the 3D Fiber Lash Mascara. I had ordered it & a friend was leaving on vacation & bought it from me the day it arrived. I messaged Kelsey, who I had ordered it from & told her I had sold mine to a friend and needed another. We chatted about for a few minutes and then she asked if I knew they had more than just “magic” mascara??? I said, “No”. About 30 minutes later I signed up to be a presenter, WHY NOT? $99 for $214 worth of makeup? I LOVE a good deal!!! 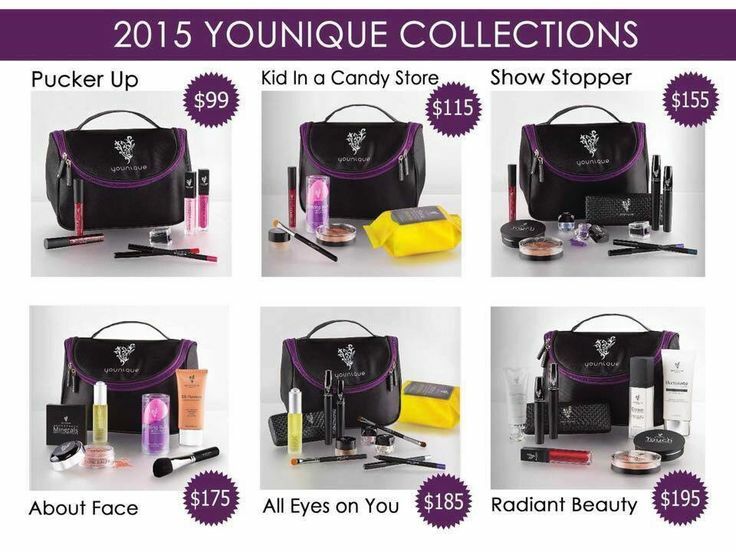 I thought I would just sign up to sell to my family & close friends and get my make-up free! Let’s face it cases just like Vicki’s are classic examples of why the death penalty does not work. Delay after delay, appeal after appeal, hundreds of thousands of dollars spent, and heart ache with each step forward or back. To honestly answer the question of WHY we don’t fight for life imprisonment for Atwood vs. our continued quest for the death penalty has nothing to do with closure for our family. Based on the laws at the time of Atwood’s sentencing almost 28 years he would be parole eligible today. And, although I would like to think that a parole board would never grant him parole, I never dreamed in a million years that my family would still be fighting for justice for her 30 years later. The sheer thought of him possibly ever walking the streets as a free man is reason enough to continue my quest to fight for the death penalty. For those who are under the impression that converting these ‘ol death penalty cases to life imprisonment would be simple and easy think again. It’s not. Late yesterday we were notified by the Attorney General’s Office that Atwood’s defense team was granted yet another delay to file in their brief to the 9th Circuit Court until May 11th. I realize that the defense is playing a game with time and lots of money. And, to try to express the frustration and anger is virtually impossible. The delay was well anticipated but the punch in the gut when you receive the news always feels the same. “This is the most wonderful time of the year…” I love what the holidays bring to our home. The traditions we continue to embrace, the time with our family and friends building memories and remembering the true meaning for the season. Such a bittersweet time of year. So, as Christmas is approaching, my wish is that you take a moment out of your busy and hectic schedule to reach out and say hello. Call someone you haven’t talked to in a while, flash a smile to a stranger, but let people know how much you love them, no matter the time or distance between you. Take a moment to get on your knees and pray. Life is a beautiful amazing gift, no matter how hard this moment may be. From my family to yours, I wish you all the very best this Christmas season. March 12th, 2015 is the new filing date that the defense counsel in the case of State of Arizona v. Atwood, Cause # CR 14065 has to file in the 9th Circuit Court of Appeals. Stalled again in our fight to bring justice to Vicki Lynne. And the questions are pouring in… Why another delay? How many more can he have? Why is it that the justice system seem to keep giving him all the breaks? How come others from death row who committed murder long after Atwood took Vicki’s life in 1984 have been executed but he still sits, wasting our tax payer dollars every day? And while we face this delay, I also have to be realistic that the March date isn’t definitive either. Or the fact that our road is still very long, and there are no guarantees that new case law can come along and alter our path as it has in the past. But, what I can hope for is that in the grand scheme of things that our case will impact a very broken judicial system, and that maybe, just maybe it will help make legislative changes so that another family might not have to suffer this judicial hell the way we have. September 16, 1984, we were an average American family, normal as far as I knew. My parents had divorced, both had remarried making my family larger. Vicki & I lived with our mom who had married George (dad), he brought his daughter, Carie, from his first marriage into our lives, together they had my brother, Brian. My dad (Ron) married Tammy, who was pregnant and expected to deliver my brother, Larry, in October of 1984. As kids, we spent many of our Saturday nights going to the race track to cheer on our Papas, and our weeks playing softball, a sport we both loved! 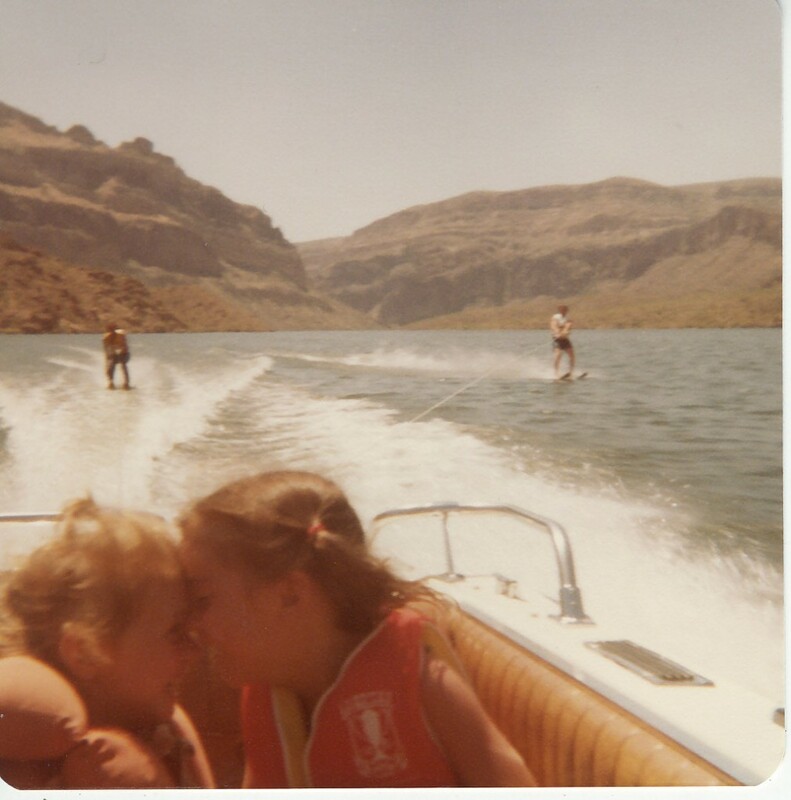 We enjoyed trips to the lake, playing in our neighborhood with friends and going to school. Monday, September 17, was a normal school day. Vicki & I got up, and she went on to Homer Davis Elementary where she was in the 3rd grade. I had just entered the 6th grade at Flowing Wells Junior High, both schools were just a few blocks from our home. Little did I know that that morning when we parted ways to school that it would be the last time I would ever see my sister alive or that the events of that afternoon would still be such vivid memories in my mind today. I had joined the Cross Country Team at FWJH, we generally had practice daily after school. But during my last period of the day I was informed that practice had been cancelled. I can still close my eyes and see the girls locker room of FWJH. There was a big glass window in the office that looked into the locker room, it was where I used the phone to call my mom to tell her cross country practice had been cancelled and I would be coming straight home after school but the line was busy. No call waiting, no call waiting caller id. It was 1984. I headed home after school with the rest of the kids in the neighborhood. I still remember the look of surprise on my mom’s face when it was me walking through the front door… Mom told me she had let Vicki ride her bike to the mailbox a few blocks away to mail my aunt’s birthday card. 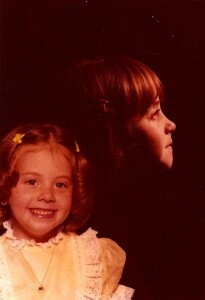 My mom never let us go out alone, but was growing concerned because Vicki should have been back by now. I could ride my bike and find her, she probably stopped by to see her best friend, Jen. And the faces of my friends as I road my bike frantically through our quiet little neighborhood calling for Vicki, them asking me what was wrong??? It was 1984… and when I learned pure evil exists. And as much as I wanted to post a blog filled with loving memories about Vicki on the 30th anniversary of her death, I can’t. I can’t because there has been no justice in our failed system. 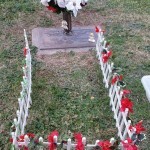 The monster that took Vicki’s innocent life that September day still sits on Death Row in Florence, AZ. Because we are NOT battling whether or not Frank Atwood is guilty of the kidnapping, sexual assault or brutal murder of my sister, but whether or not his counsel was “ineffective” at the time of his trial and if he actually suffered from Post Traumatic Stress Disorder at the time he murdered my sister. And we are still waiting to see if his defense team will actually file an opening brief by November 21, 2014 in the 9th Circuit Court of Appeals or file yet another extension that could possibly be granted by the court. Because I have to explain to my children the evils of the world; not because they exist, but because it happened to my life and still continues to happen, 30 years later.